So we got some really awesome news over the weekend, we'll get to move into our new apartment quicker than anticipated. But, it's ramped everything up, I'm in a panic trying to figure out closet systems, paint colors, movers, selling furniture that needs to go, etc. It makes for a lot of work in a small amount of time. Hopefully, I won't tear out my hair in the process. Thankfully, I have pretty polish to keep me sane. Like this beauty. 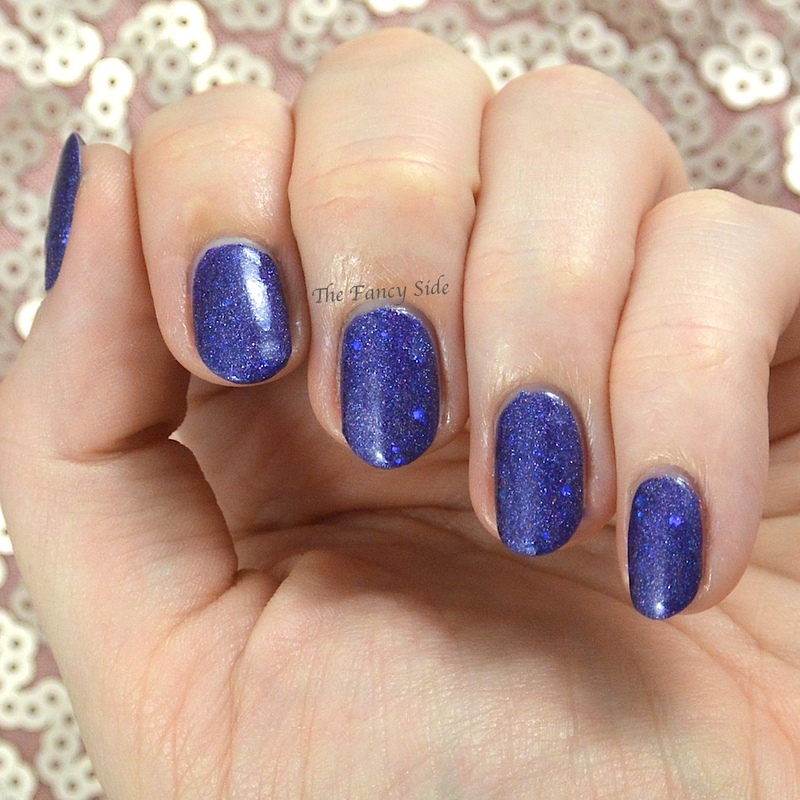 Glam Polish Wicked is a stunner and I love it so much. This is a blue leaning purple or blurple if you will, filled with microglitter, holographic particles, and some bigger blue hexes. It's a stunning combination. I used two coats for full coverage. 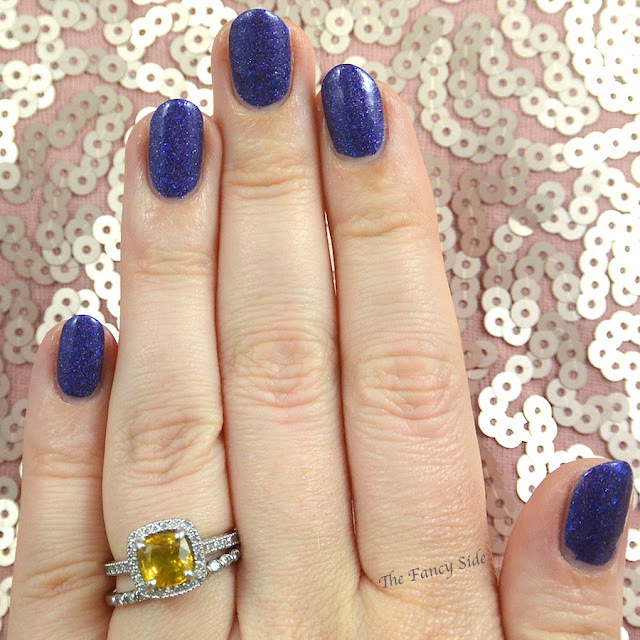 Glam Polish can be found online and they ship to the USA and Australia! I also believe they have international stockists if needed. Be sure to check them out! This is gorgeous colour ! Beautiful color! I love Glam Polish! 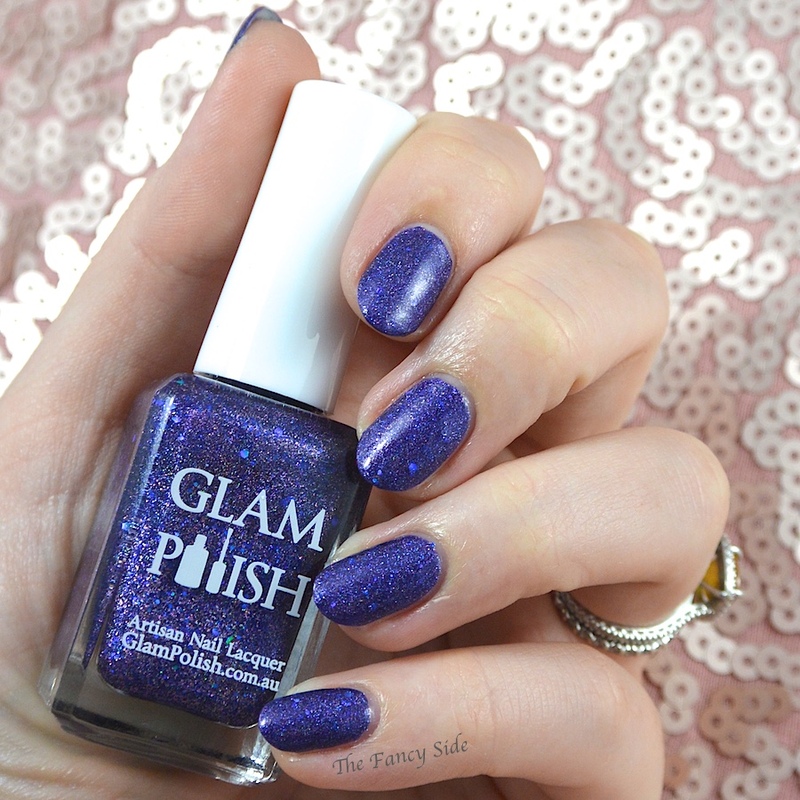 I want some Glam polish so badly! Get it girl! They have a great sale section! Love the color, I have been looking at Glam Polish for a while but haven't got any yet. I don't think you could go wrong! Such a huge fan of the purple shade and this looks so beautiful. I need some Glam Polish so badly, I have yet to see a shades of theirs that I don't like. I agree. They make great polishes. Thanks Alps, you are too sweet. I love purple polish! So gorgeous! This is absolutely stunning but I must be color blind because it only looks blue to me! It could be a monitor difference as well. It does have some blue leanings for sure. this is a pretty color. i definitely should use the one in my untrieds. Love this polish! Beautiful swatch.